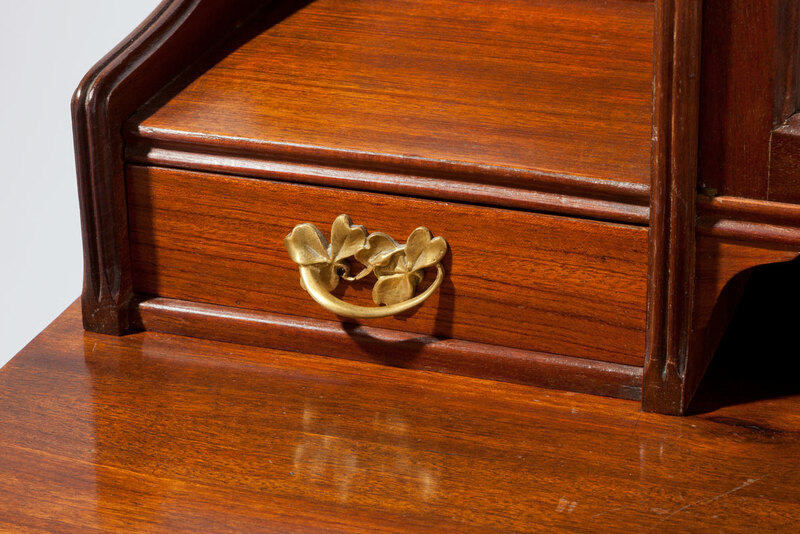 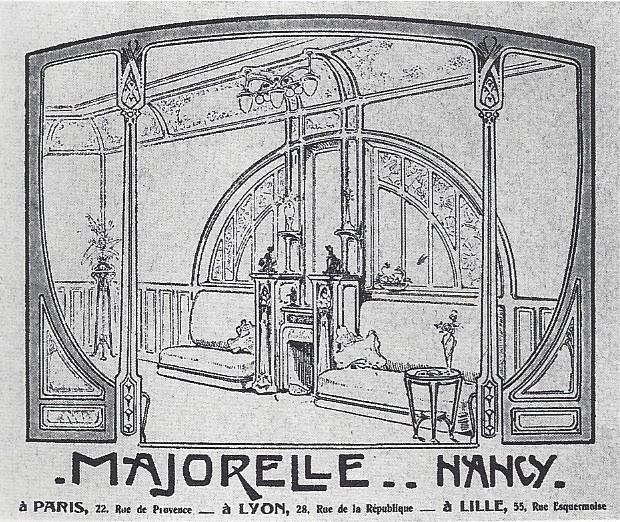 The celebrated French furniture maker Louis Majorelle (1859-1926), a leading member of the Ecole de Nancy, was one of the most outstanding and successful exponents of the Art Nouveau style. 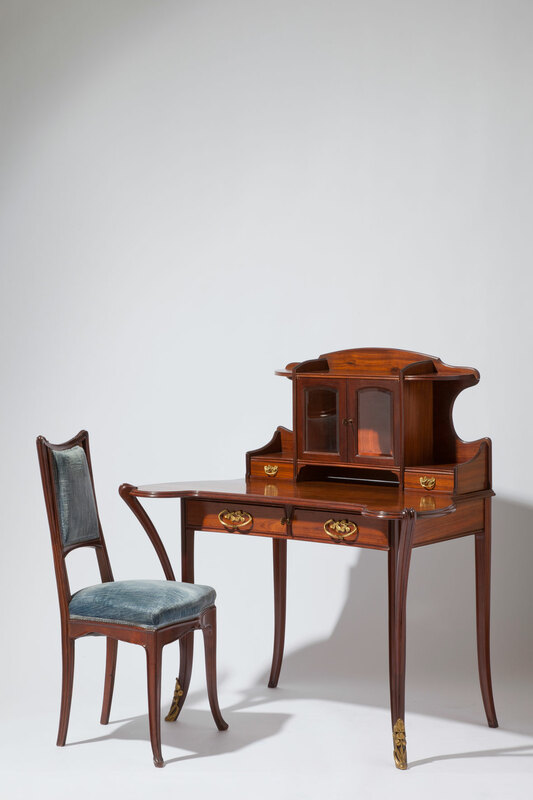 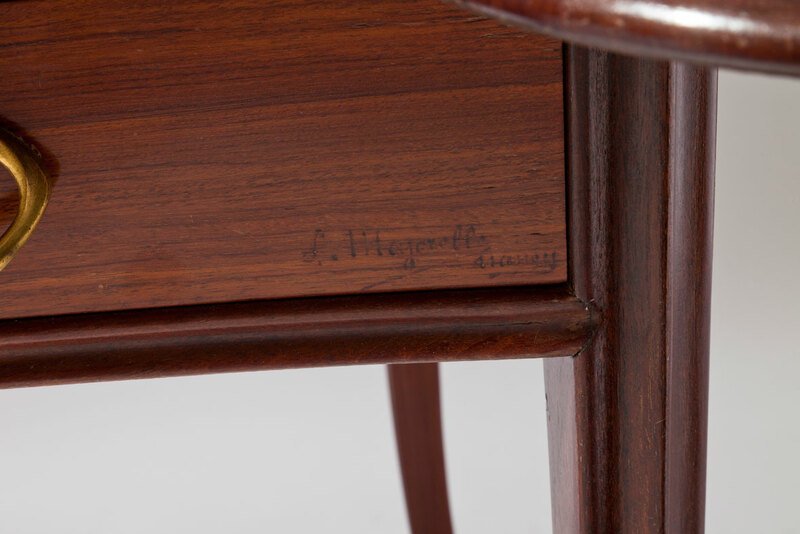 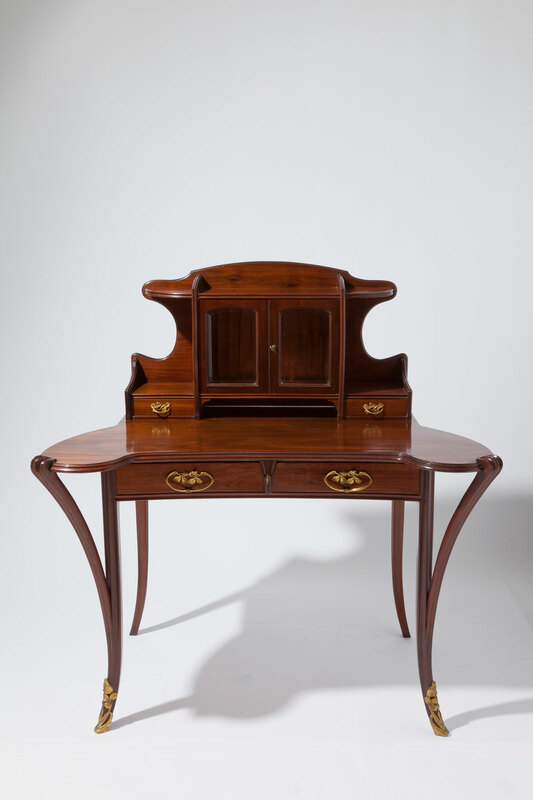 A remarkably innovative designer, Majorelle was nonetheless a true successor to the great French craftsmen of the 18th century, using traditional methods of construction while introducing his own striking modern variations. 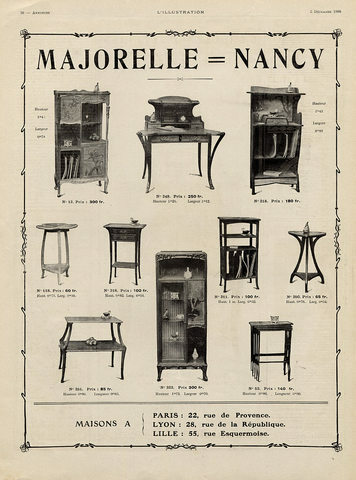 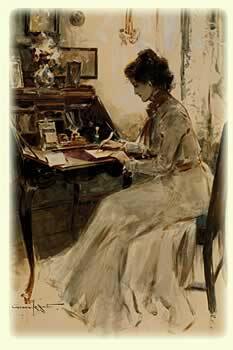 At the Paris Exposition Universelle in 1900, Majorelle gained the admiration of critics for the exquisite marquetry effects and gilt bronze waterlily mounts on his furniture; this recognition led swiftly to commercial success. 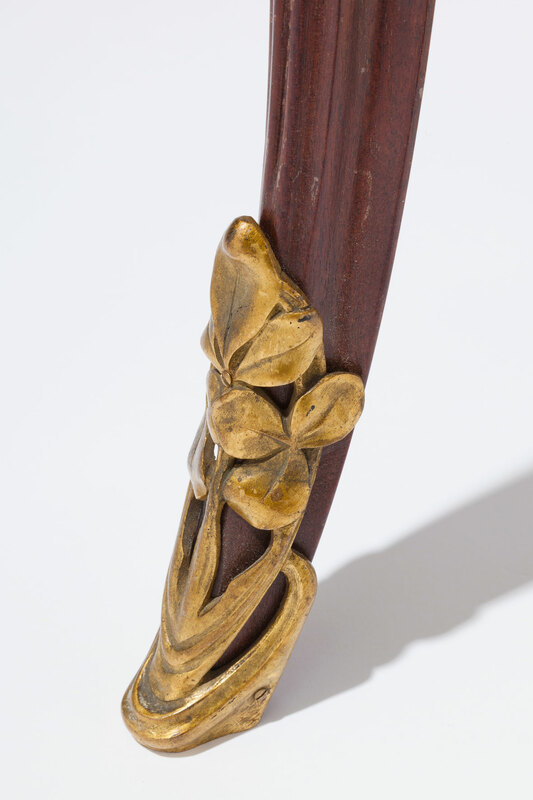 Majorelle saw decoration as integral to the overall form of his pieces, and the subordination of ornament to basic architecture and function became a hallmark of his work. 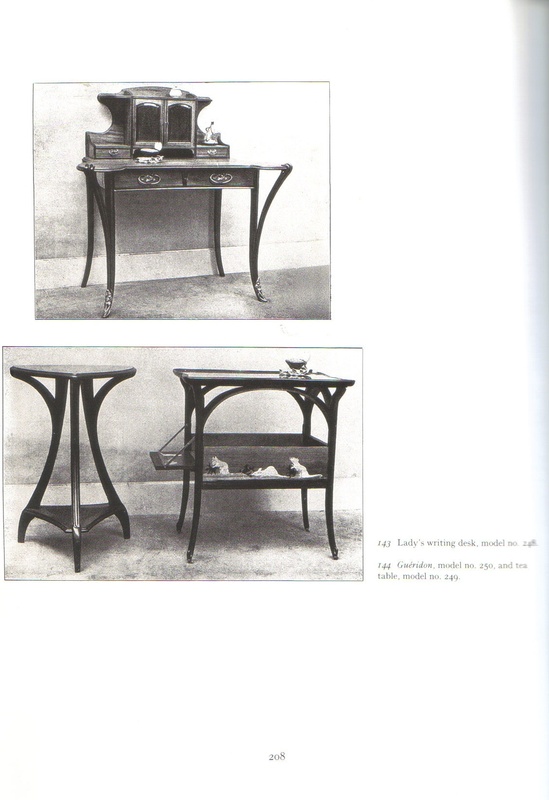 He ventured beyond furniture to become a leading designer of ornamental bronze and ironwork, particularly lighting fixtures, fashioning lamp bases with botanical motifs to complement glass lamp shades produced by the famous Daum glassworks.